Two weeks ago I watched live one of the most impressive athletic performances ever as Caitlin Gregg and Jessie Diggins skied against the best in the world to historic World Championship Bronze and Silver medals. The first ever Women’s distance podium at a World Championship in cross country skiing. I am so impressed with both of these women. As Caitlin’s husband I perhaps know better than anyone how special her performance really is and what she has had to overcome. At some point I feel her story may need to be turned in to a book or even a movie. Several of the world’s best cross country skiers are millionaires or even multimillionaires supported by national teams with budgets of millions of dollars. I believe our national team, the US Ski Team, has a budget of roughly $700,000. It is a testament to the hardworking Team USA staff and techs that we are able to compete with the top ski nations such as Norway and their budget of perhaps $7 million. One of my favorite movies is the film Money Ball based on the true story of the Oakland As 2002 season and their innovative approach to competing with the top teams on a significantly smaller budget. They decided that they can’t use the same approach as their competitor’s, so they focus on developing their own approach through math and statistics. In the end they ended up winning the same number of games as the New York Yankees, but the Yankees spend 1.4 million per win and the A's spend 236,000. In the 15 years since Caitlin’s first World Junior Championship she has never received direct financial support from the US Ski Team. 8 years ago after competing at the 2007 World Championships Caitlin was told she was too old for the US Ski Team and their pipeline. Caitlin lives, trains and competes on a yearly budget of less than $30,000. How is that possible? well for one we live in a house that cost $25,500 in an area with one of the lowest cost of living in the country, she cooks almost every meal from scratch, we spend a lot of time researching every purchase and expense, and a ton of families have hosted us through home stays and loaner cars throughout our travels. Honestly we still feel that we lead a very luxurious life despite sharing a single car and training on bikes with down tube shifters. 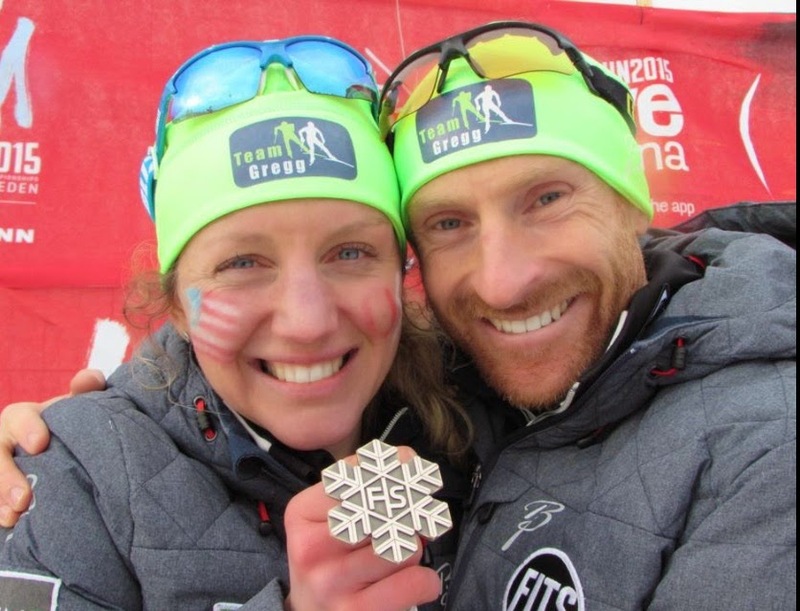 I believe Caitlin is the first cross country skier ever to win a World Championship medal without ever having been a member of the National Team. Although we hope that credential may be added next year. We are very proud of Caitlin's success as a bit of an outsider and the inspiration we hope it gives others who may be just outside the traditional pipeline to success. Caitlin coached me to the 2014 Olympic Team. Unfortunately she was not selected to the team. 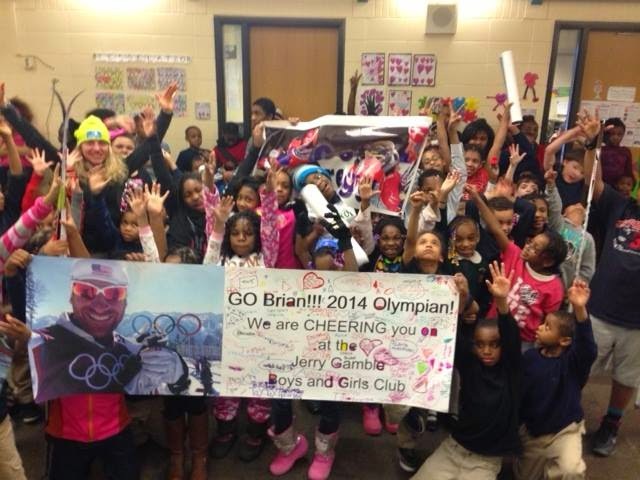 Instead of becoming discouraged and quitting she came home, shared my story with our kids at the Boys and Girls Club and set her goal on making the 2015 World Championship Team. Over the seven years Caitlin and I have been with In The Arena we have worked over 2,000 hours with a lot of kids. Most of them coming from lower-income families. I am so happy for the hope that I know Caitlin's bronze medal will bring in to these kids lives encouraging them to dream big, work hard and believe. Thehigh of the World Championships Bronze medal in the 10 km Freestyle was met the next morning with the blow of not being selected for the freestyle 5km leg in the 4 x 5km relay. We have a very strong group of USA Women and I don’t envy the coaches who makes the decision of who starts and who cheers on the course. We turned the day in to a positive with one of the coolest training sessions I have ever had as an athlete. With the World Championship course open one hour before the race we skied together and execute Caitlin’s interval session in front of over 40,000 yelling fans. 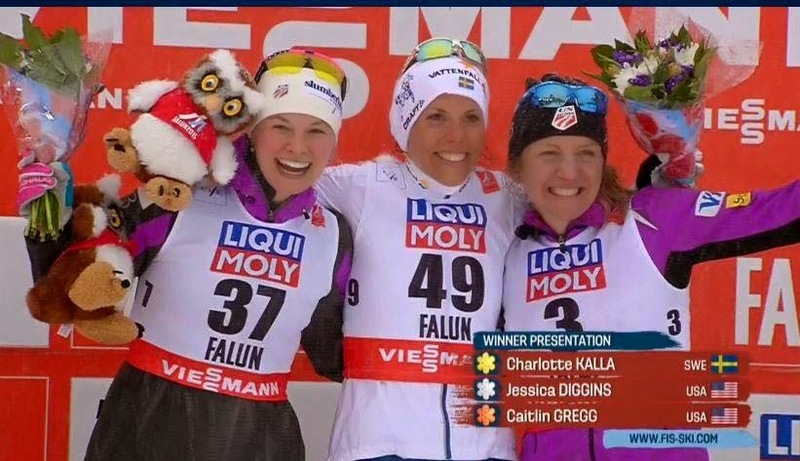 The fans in Falun are serious and many recognized Caitlin and cheered her by name around the course. We were absolutely flying and it was incredible to share in that experience together. The Swedish Fans are amazing. After cheering Team USA on to a strong 4th place finish we packed up and traveled down to St. Moritz, Switzerland for the Engadin Ski Marathon. 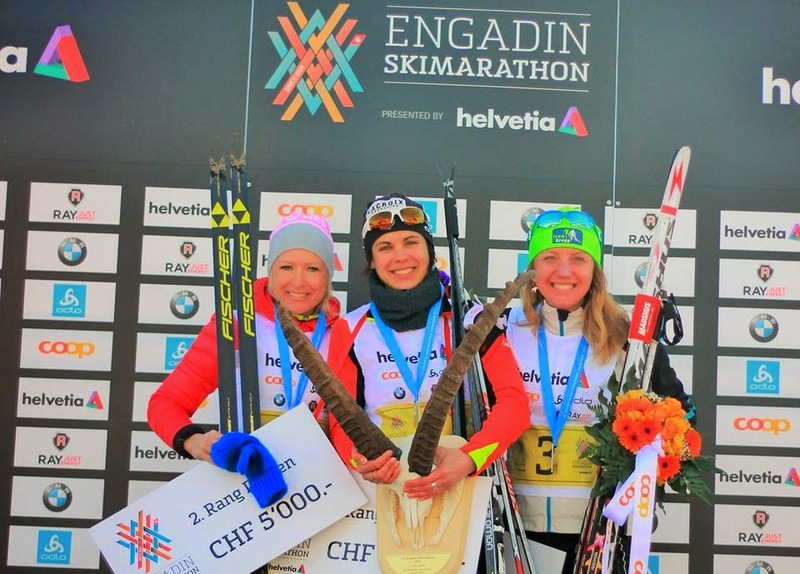 Caitlin had another historic race with a bronze medal in the Engadin Ski Marathon with the best ever American womens' finish in a three way sprint tor the top woman within a huge pack of men. Anouk Faivre (5th in the 10 km Freestyle at World Championships) won the sprint over Ritta-Liisa Roponen who (18th in the 10 km Freestyle and 8th in the 15km Skiathalon at World Championships). In case you haven't figured it out yet, I am one very proud husband. The last three years, my training has been the focus of our relationship and this year has been Caitlin's year. Unfortunately she had shingles this Fall so wasn't able to capitalize on her World Cup start opportunities as last years Super Tour winner. She amazed me with how positive she stayed, she set up a plan that involved taking three weeks off from racing in mid winter to just train. She wrote our her training plan, made minor adjustments based on her feelings during workouts and got the job done. Coach of the Year? While Caitlin has been the primary focus, I am also feeling great. After a great start to the season, but a poor US Nationals we decided to put the US National 50km as my next focus event. I finished in the lead men's group in my first Engadin. Next up we have both been granted discretionary starts by the US Ski Team for the Hollmenkollen World Cup 30/50km in Oslo, Norway. We are ready to capitalize on the opportunity. A huge thank you to all the supporters and members of Team Gregg, although we are only two racers we have one of the biggest and best team of people behind us.